Put some fizz in your step and pull on a pair of these cotton rich ladies Coca Cola Slipper Socks when it's time to kick off your shoes. 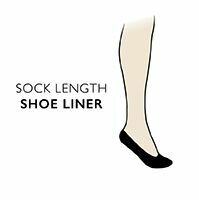 The socks have a light feel and a low cut at the cuffs, leaving your ankles bare and comfortably cool. These Coke-branded slipper socks are so lively, fully decorated with woven words, motifs and Americana looks! They come as a twin pack of mixed designs, and are absolutely ‘The Real Thing’ when it comes to comfort!